Weston Historical Society seeks artist. 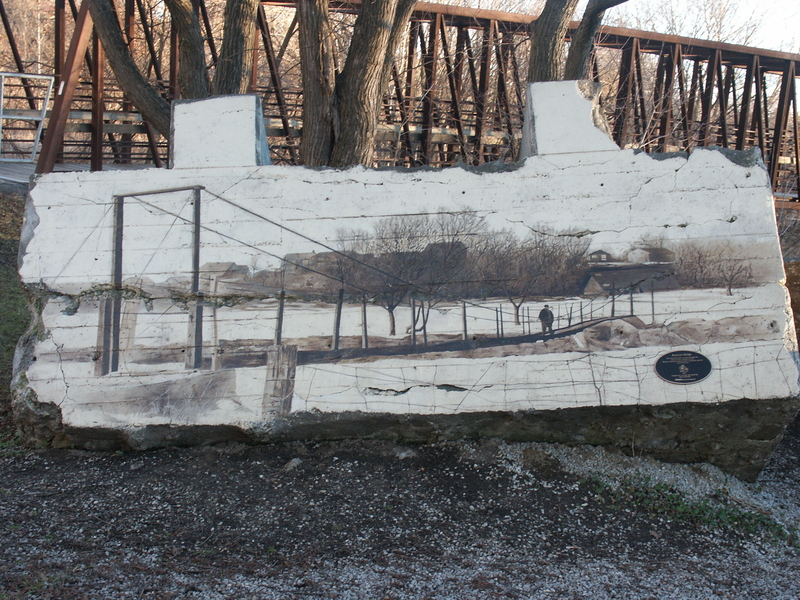 Talented mural artist Mario Noviello’s work can be seen in Weston by Ward’s parking lot and in Lions Park on the old bridge abutment. Weston Historical Society Treasurer Cherri Hurst tells me that they are seeking his assistance in renovating the Lions Park location which serves as a memorial to the victims of Hurricane Hazel. 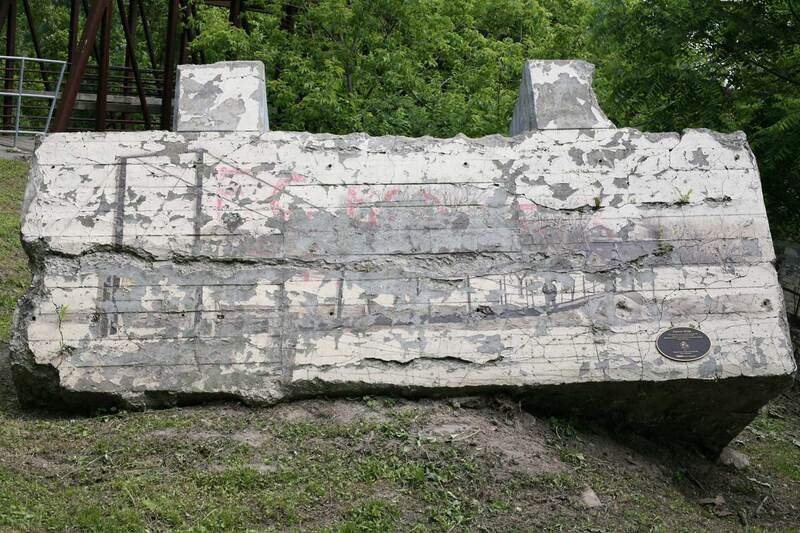 Part of Mario Noviello’s work on the old bridge abutment when it first appeared. The same work in 2011. Sadly, the work deteriorated rapidly, due in part to anti-graffitti paint. 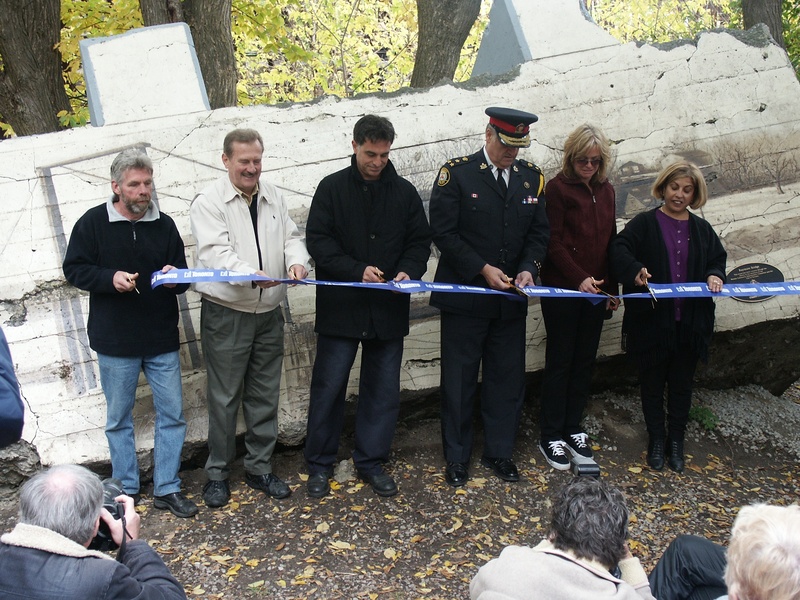 Mario Noviello (centre) at the official unveiling of the mural in 2004, assisted by Alan Tonks, Julian Fantino and Frances Nunziata. Unfortunately Mr. Noviello’s contact information has been lost in the intervening years and Ms Hurst was wondering if any of our readers know where he could be located. Please contact Adam or myself if you know his contact details and we will forward the information. Postscript: Cherri Hurst tells me they have located Mr. Noviello. WestonWeb will keep readers posted regarding further work on the memorial.